From splurging at a retail outlet to picking up a bargain at a garage sale, there’s plenty of places to go shopping – with one such place being…train stations. Online shoppers now have the option to collect their packages at their local railway station, after it was announced that a click-and-collect service would be rolled out at hundreds of train stations throughout the UK – courtesy of a joint venture between ASOS, Network Rail and New Look (as well as other leading brands). Teaming up with Travelex founder, Lloyd Dorfman, the owner of Britain’s rail tracks and stations has invested £24m in the co-owned business, entitled Doddle – in the hopes of creating over 3,000 jobs over the course of the next three years. Currently, a pilot scheme exists in Milton Keynes; with plans to extend the service to Brighton, Bromley South, Chelmsford, London Cannon Street and London Waterloo before the end of August. 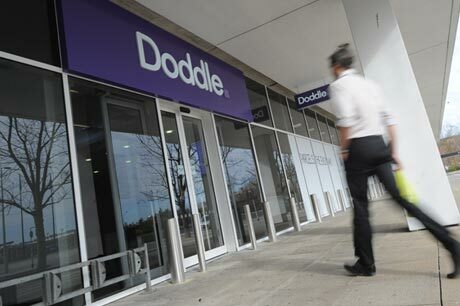 Tim Robinson, chief executive at Doddle, explained: “We offer a premium service with contemporary shops, advanced technology and highly trained staff delivering a dedicated customer experience. Robin Gisby, managing director at Network Rail, said: “More people are travelling by rail than ever before and stations have become more than just a place to wait for or get off a train. We’ve adapted to passenger’s changing needs and now offer quality retail, food and drink at our biggest stations, such as London Waterloo.